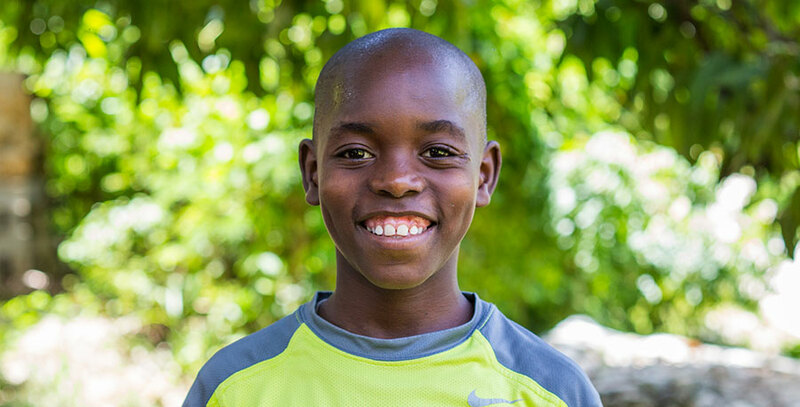 Nixon is the first child to move to the Fond Blanc Orphanage in 2010. He is the only child living here who is a true orphan, not having either of his parents alive. He is from the village of Cabaret. He has one sister who lives in the village of Cazale with their Aunt. Nixon enjoys studying for school and is a very good student; he can help all his friends with their homework. When he grows up, he wants to follow in the footsteps of those he looks up to and become a Pastor. His favorite thing to play is marbles. He’s also a very good soccer player. The older boys let him play with them often. His best friend is Olin and you can often find those two playing together. Nixon knows how to do a lot of things and is a very good helper. He loves helping with laundry, cooking and cleaning. He is also a very generous child. His sister, Mika, often brings him avocados, mangos, and kinips. He always shares with those around him.